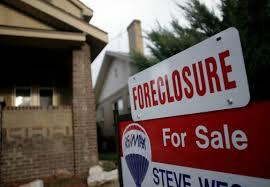 The biggest foreclosure clean out service benefits cannot be understated. Getting a new listing is often an exciting proposition, but, when it’s a foreclosure property, the joy can be short-lived for real estate professionals.As you probably know, foreclosures come with a unique set of circumstances (read: problems). Often times, the previous resident(s) leaves behind scattered personal possessions and a significant amount of junk. Just entering a foreclosed home can be a risk, because you never know what to expect. It’s not uncommon to find pest infestations, appliances ripped out, windows and screens broken and torn, carpet stained, water damage in the bathroom, and other nuisances. Now, you might consider doing it on your own to save money. But, that means having to deal with all the stuff inside and out. Which means a whole lot of sorting, recycling, and plenty more time and effort. Let’s face it, you don’t really have the time to devote to a foreclosure cleanout. What’s more, unless you’ve done it many times before, you don’t know what to do in the first place. Avoid unpleasant surprises. One nearly sure thing about a foreclosure, it’s that it probably is full of surprises. Not just one or two, usually a whole lot more. It’s common for pest infestations, squatters, and other unpleasantries.